More and more, international educators are being called upon to provide data and evidence to support the work that they do. To help meet this challenge, Peggy Shannon-Baker, PhD, and Sarah Rutherford have developed a new Current Topics Workshop (CTW), The International Educator as a Practitioner-Scholar: Conducting Ethical Research, that prepares international educators to implement ethical research-based decision-making into their work. In this second NAFSA 2018 Workshop Spotlight, I talk with Peggy about how she and Sarah designed this new workshop and how they hope it will help build international educators’ capacity to think of their professional work as research-based and research-worthy. Peggy also explains how she and Sarah hope to highlight the use of pre-existing research as well, noting that here is a lot of research out there on international education, and this workshop will help demonstrate how to use it to inform what we do as staff and faculty in international education. Why is this topic important to the field of international education today? Shannon-Baker: Staff and faculty involved in international education efforts are increasingly being asked to make data-driven decisions about programming and their budgets. Some are asked for these kinds of rationales from higher education administrators or policy makers; others are finding that to continue their international education efforts, they need to make a stronger case for continued funding. In our experience, international educators are already doing this type of decision-making, but want more of the language of research to describe their work effectively to others. It can also be helpful to think about how to look into our own work as international educators in a more comprehensive and systematic manner. It was for these reasons that we put this workshop together. Shannon-Baker: This workshop is designed for anyone involved in international education—from international and study abroad advisers to program leaders and deans of international offices. The workshop is introductory in nature because we ask participants to reframe their thinking about research and the connections between research and their professional work. Those who are interested in better positioning their work in the research and making more research-based decisions in their work are highly encouraged to attend. What are some of the activities that participants will engage in during the workshop? Shannon-Baker: This workshop has a variety of activities, including small and large-group discussions; reflective writing; and scenario role-playing. Each participant will receive a workbook of our presentation materials, handouts, and resources that they will use during and after the workshop. For example, we’ll guide the participants in thinking through various ethical issues in conducting research in their professional work. The participants will also walk through identifying their own research projects that they could then try to implement after the workshop. We will also discuss mock research projects and investigate how the participants could implement the findings to make programmatic changes. Shannon-Baker: We hope that attendees take away greater confidence in envisioning their professional practice as related to research. We also want to help attendees envision how to incorporate research practices into their professional work. We have a strong focus on the ethical issues related to doing research in international education as well so that attendees leave feeling better equipped to mitigate or respond to these issues if or when they come up. Finally, the latter part of the workshop is specifically designed to be applicable to the attendees’ professional work. They will leave with concrete ideas about how to enhance their programs using either their own research or pre-existing research. 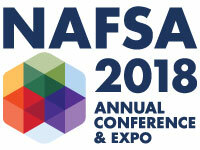 To learn more about The International Educator as a Practitioner-Scholar: Conducting Ethical Research and all of the workshop offerings in Philadelphia, check out the NAFSA 2018 Annual Conference Preconference Workshops at www.nafsa.org/ac18workshops.